This Black Flapper Dress features a mini dress layered with cascading tiers of gleaming black fringe that shakes to the rhythm of the music. 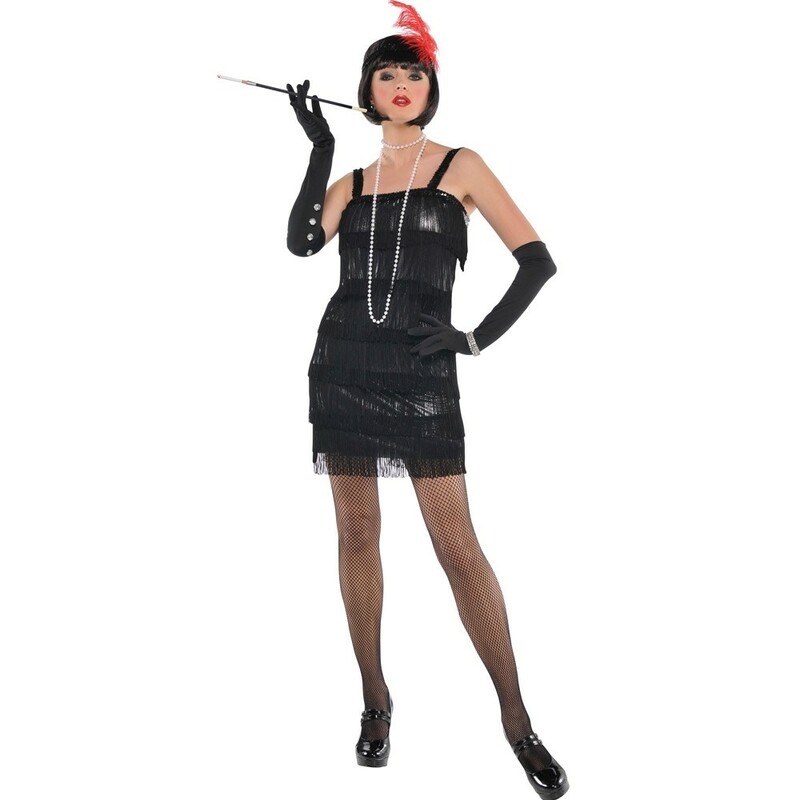 A matching black sequin-covered elastic headband with red feather plume completes the look.This Black Flapper dress is perfect for a 1920s event. Feather Boa is available separately. Adult Women Size: 8-10, 10-12 and, 14-16.